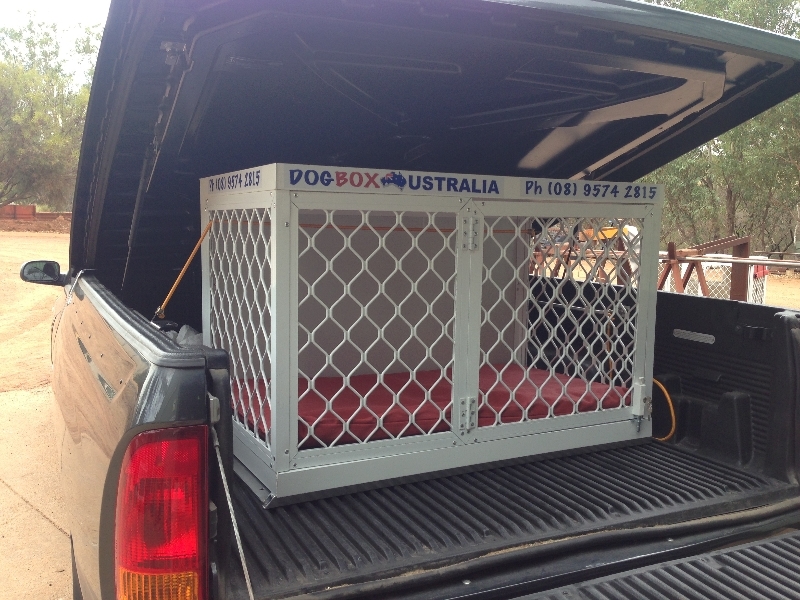 Custom Cages | Dog Box Australia's insulated dog boxes for your best mate! 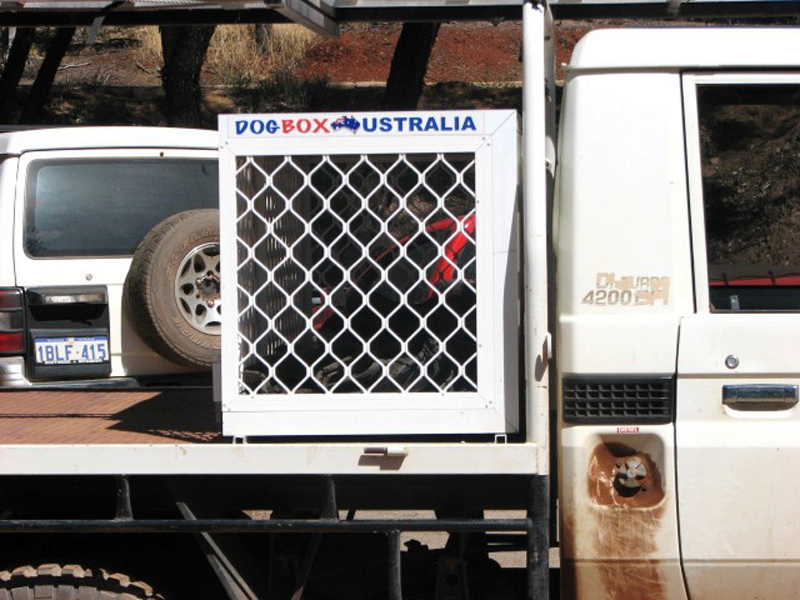 Dog Box Australia create custom insulated dog boxes with the features you want, your way...optional extras to give your mate some creature comforts! 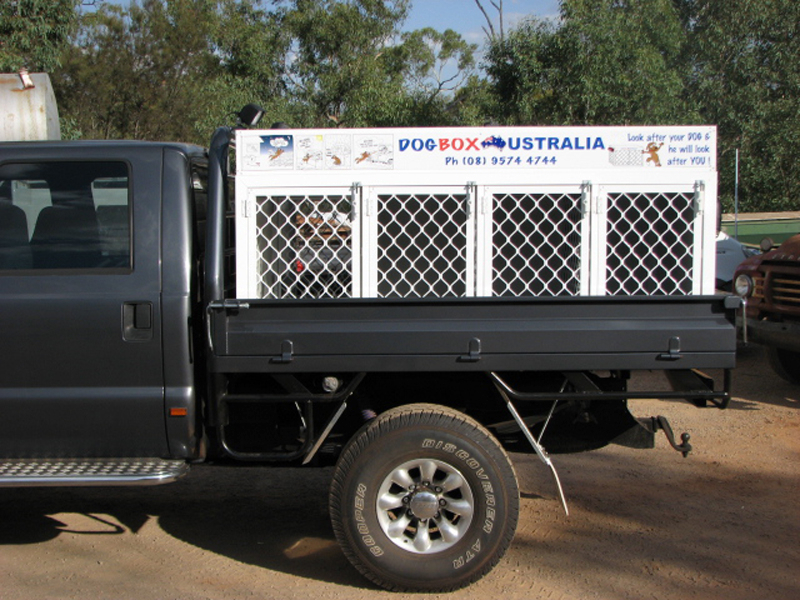 Canvas Covered Mattress – a comfy waterproof mattress for your four footed mate to relax on and have a kip while you’re on the move or on the job. 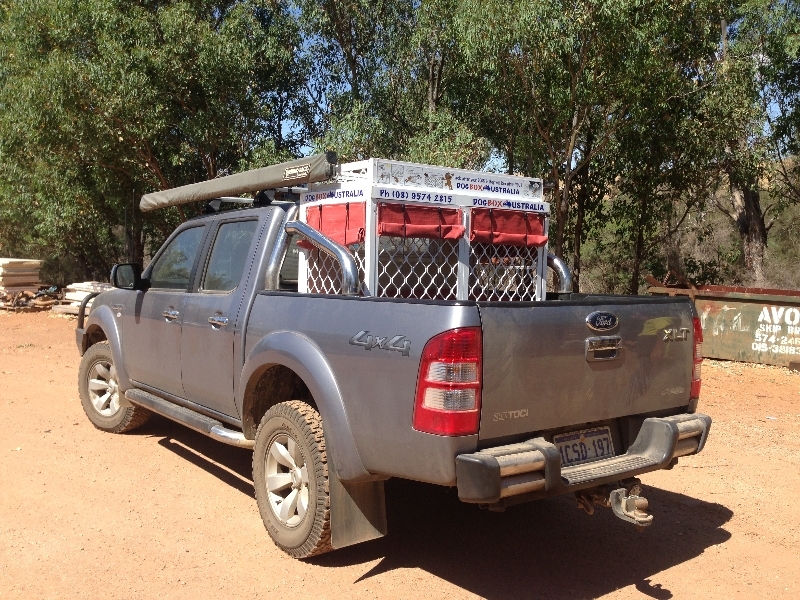 Canvas Curtains – it’s not only the missus that loves a bit of bling. 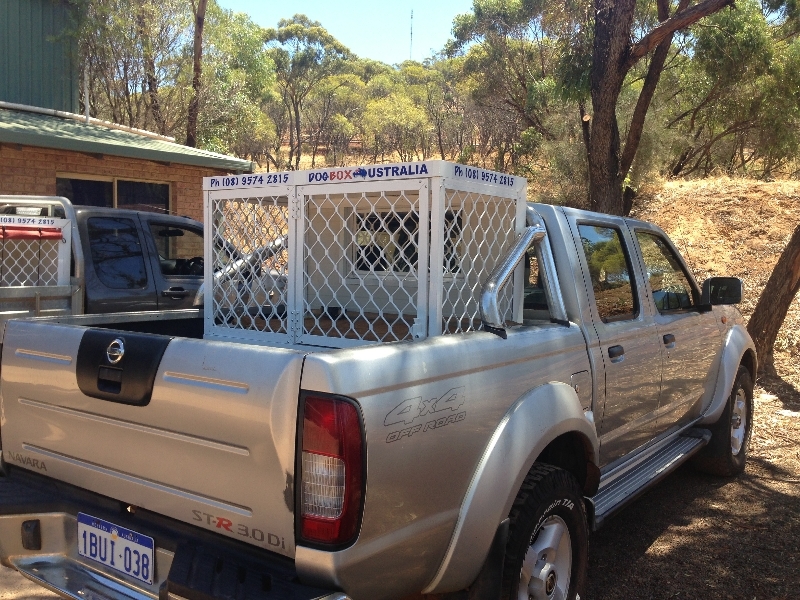 Your dog will appreciate a bit of privacy or the ability to block off the blinding sun while he curls up for a kip! 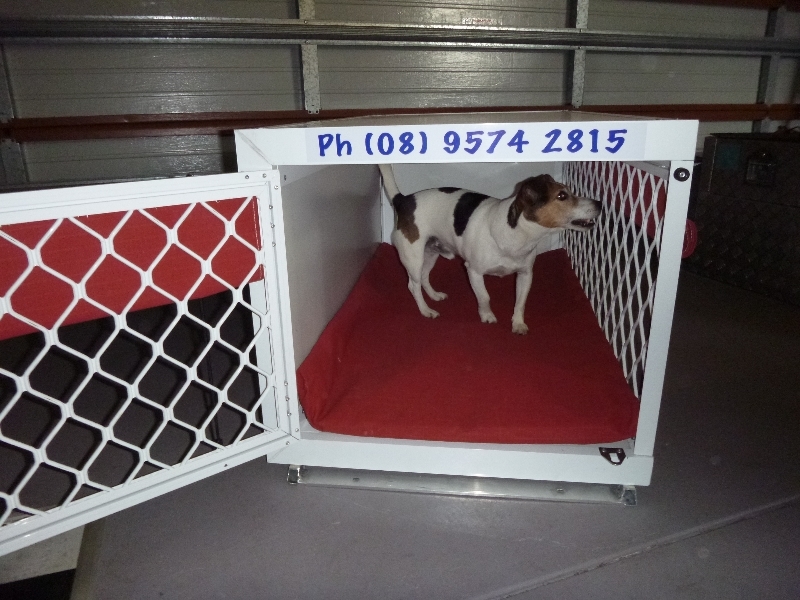 Removable Dividing Wall – just like kids, some dogs need a to be separated while travelling or may just like their own space and don’t share well!! 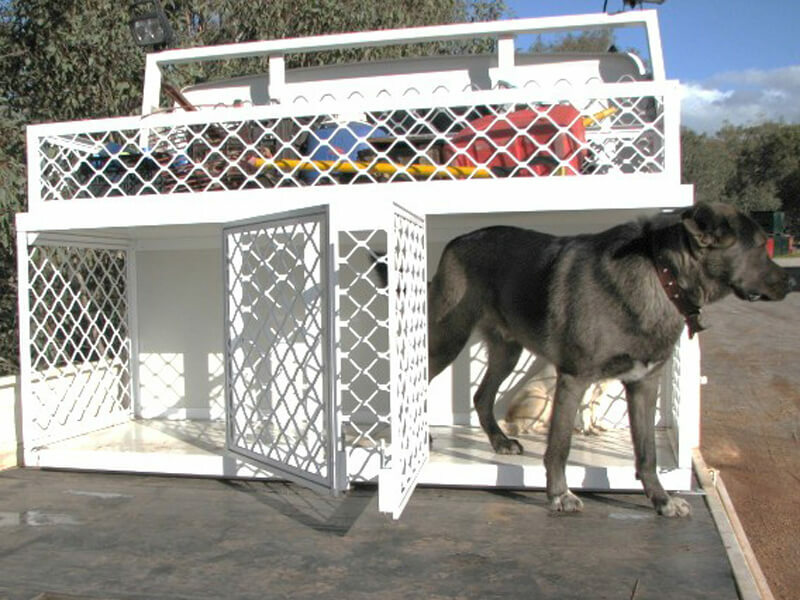 Tool / Swag / Fridge Carrier – An extra open storage space above your Dog Box where objects can easily be tied down to stop them moving about in transit. Choose from solid or grill walls. 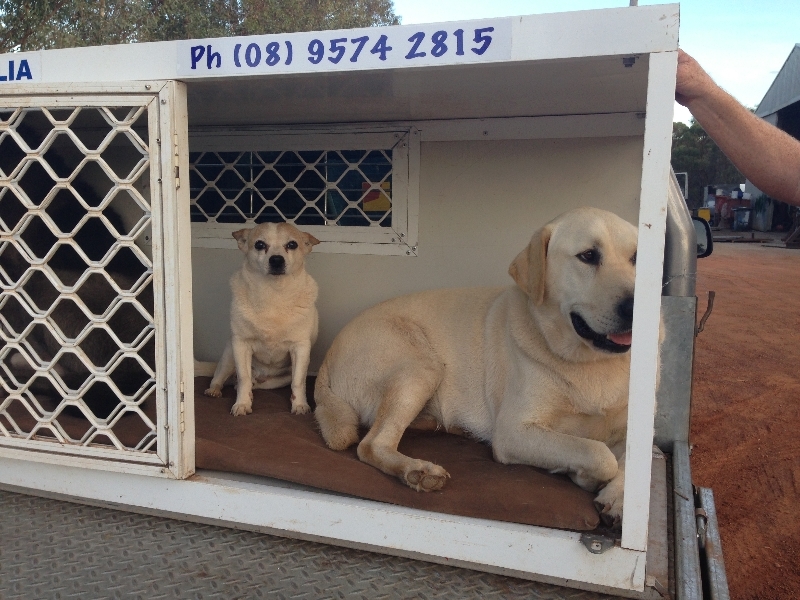 Extra Access Door – So you need to partition your mates and give them some permanent personal space? 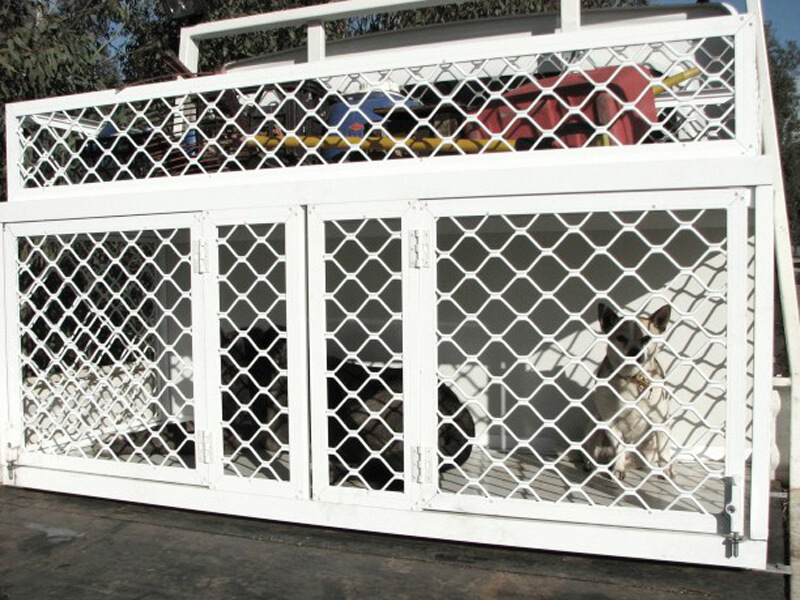 Add an extra access door so each cage has their own access door. Viewing Window – Want to be able to see what you’re mates are up to and let them cop a view of you too as you’re out and about? 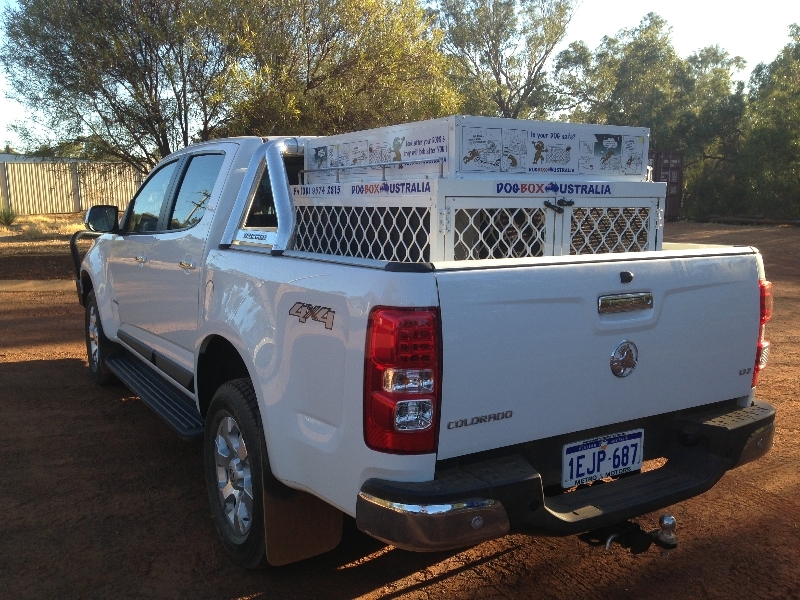 Add a window so you can see through to them plus give you more visibility while driving if your cage is mounted higher up on your ute. 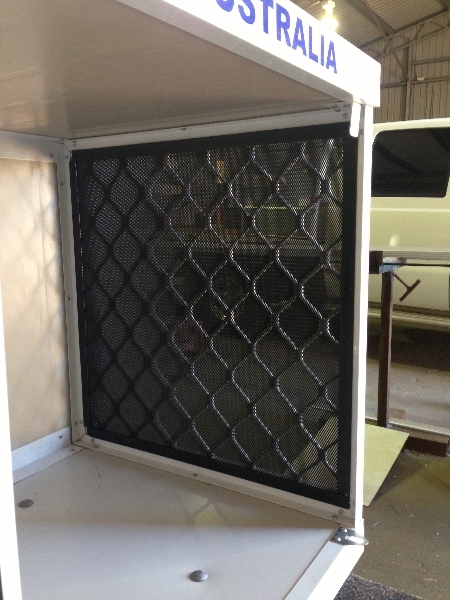 Fly Screens – It isn’t just us who hate flies. Your mates may find them tasty and nutritious and a source of entertainment, but they can pretty quickly drive your dog to distraction. 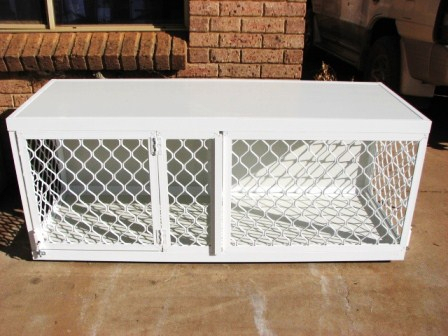 Pop some fly screens around to fully enclose your pup and keep them safe from the nasties! We'll create boxes to your specs too!